Buying a property in Prince Rupert? Whether you are a first-time home buyer, relocating, investing, downsizing or upsizing, the process can be daunting. Mike and Nikki will listen to your needs and navigate you through the buying process. They like to remind their buyers, “There is never a silly question, so don’t be afraid to ask!”. As one of the biggest purchases in your life, Mike and Nikki understand the importance of every detail involved in buying a home. They will work with your best interests in mind, and look forward to guiding you through the process and finding you the right home. Mike and Nikki have helped numerous families relocate to Prince Rupert. They understand that moving is no picnic and that being organized, providing critical knowledge and information is key to making relocating as smooth as possible. Prince Rupert’s geographic advantages, plus the Port of Prince Rupert’s ability to plan ahead has created a strong economy for real estate investment. Mike and Nikki have worked with real estate buyers at all financial levels take advantage of the growing economy. 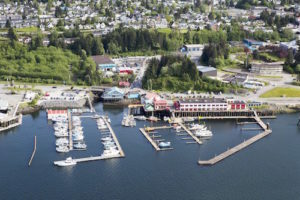 Looking to invest in Prince Rupert? 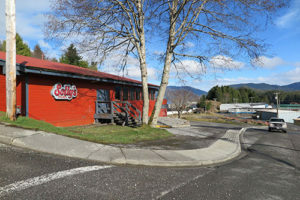 Commercial real estate is a great investment opportunity in Prince Rupert.